You have met five different personalities in our earlier post. Now say hello to the next five. These individuals have one magic word: Perfection. They care about quality more than relationships and price. a. They focus more on value derived than costs. b. They hate being fooled and woe betide the brand that tries to rip them off. Never try this with a quality oriented personality. Quality and value for money is the key words to focus on while approaching these individuals. However, unlike common marketers, don’t be tempted to overcharge. Doing so will betray their trust and loss of goodwill is not worth it. It isn’t necessary to mention the price aspect at the beginning, rather bring your points around how your product/service is of unbeatable quality. Summary: Focus on product/service quality & do not be tempted to overcharge. This personality will give Apple fans a run for their money. They may be a tough nut to crack with regards to poaching from competitors etc. a. They swear by brand no matter the costs. b. Brand advertising plays a great part in influencing their thought process. It is advisable to do your homework with regards to ‘why’ they love their current service providers. What is it that separates them from you? Once you get your answers, create marketing campaigns that show why your product/service is better than what they have got. Summary: Research why they like their current providers & show why you are better on those points. They swing between decisions better than a pendulum. 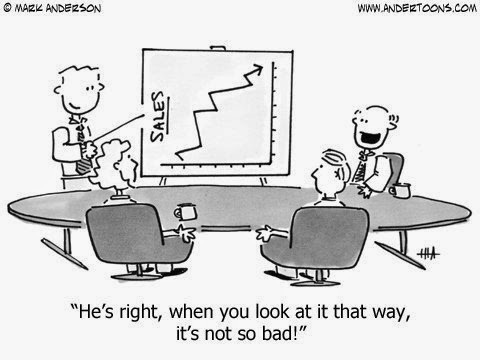 Due to their slow and often vague decision making, expect a drawn out sales cycle. a. They may need a lot of hand guiding to make the final decision. b. Their basic weakness is lack of knowledge. Educating them is the best approach. Before jumping into the sales pitch, take some time to ask insightful sales questions that can help you qualify them faster. You may even find problems that the unsure prospect may not be aware of. They will be grateful for your patience and support. Summary: Ask insightful questions to identify their needs & hand guide them through the whole sales process. Though rare to come across, shy personalities are more of research and detail oriented. 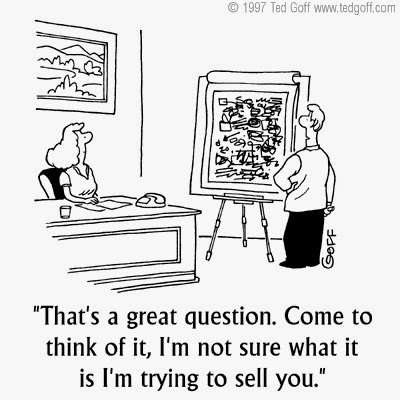 As with analytical ones they are specific in their queries and have long sales cycle. 1. They are introverts who are keen on researching to get the minutest details. 2. They put more stress upon written communication. Never get personal quickly with them. Take efforts to thank them for approaching and identify their pain areas. They don’t like chatter boxes. Give them time and space to go through your details and be ready to answer their specific questions. Summary: Never talk too much and be specific & use facts/data in presentations/responses. 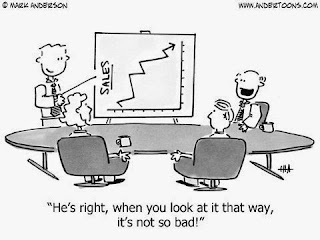 Usually the CEO, CFO, CMO etc., they like to be in charge and revel in their ability to manipulate or direct the flow of work/process. They take great pride in their accomplishments. 1. They like to have souvenirs or trophies of their achievement. 2. No is their answer 95% of the time. 3. They like formality and written communication. Always give them multiple packages to choose from. As majority of their responses are going to be negative, giving multiple choices will help you nail at least one. Remember formality and written communication is the key in approaching them. Summary: Focus on ROI & always communicate in writing. It may be possible that you may not find individuals that strictly follow these norms, there may be confluence. 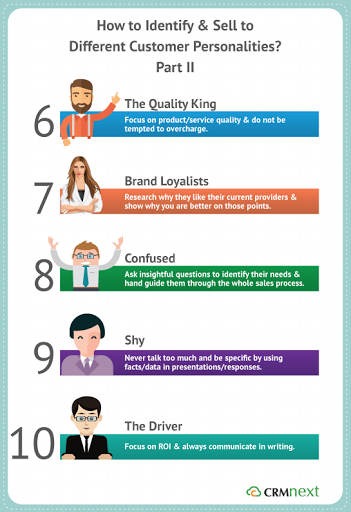 However, studying the above 10 personalities will give you a head start in dealing with them efficiently for gaining maximum sales value.